If you’re looking at mobile homes for sale in communities for adults 55 and older, you don’t want to overlook Cypress Lakes. This 1,000-acre gated community boasts its own natural beauty, plus it’s surrounded by top sightseeing attractions, so you’ll never want for something to do. Plus, you won’t have to sacrifice a comfortable lifestyle at home to get the on-the-go Florida lifestyle you’ve been dreaming of at an affordable price. The manufactured homes for sale at Cypress Lakes are all well-maintained in an attractively landscaped neighborhood setting, and many have the same luxury features as traditional site-built homes. But they typically cost significantly less. What’s more, the manufactured homes at Cypress Lakes are designed to require little maintenance, and lawn mowing services are part of your low monthly home site lease payment. This means you’ll have more time to devote to the activities you enjoy instead of household chores. 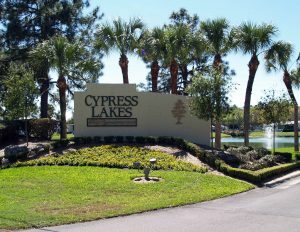 To find out more about the mobile homes for sale at Cypress Lakes and to schedule a tour of this attractive community in centrally located Lakeland, FL, contact us today.